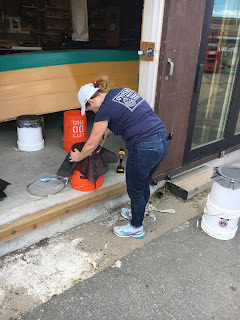 Under the leadership of Jennifer Filiault and Steve Parks, the MOP team has begun construction of an upweller at the Maritime GloucesterMuseum to raise infant oyster spat to a 2 inch size so that they can be used for oyster propagation. 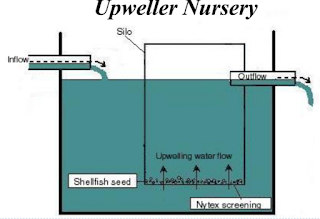 An upweller is a system of tanks that flow seawater over the oyster spat so that it receives a good flow of nutritious water for it to filter and feed on. 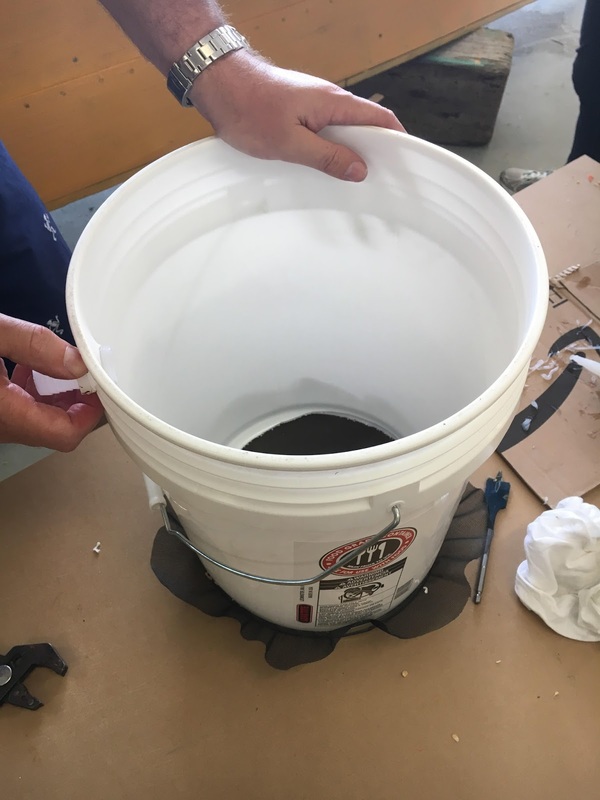 The oysters filter out the plankton, digest it and use the nutrition to grow. A typical upweller contains the oyster spat in containers with screen bottoms. The water is forced up through the screen bottoms around the oysters and out the top where it is returned to the ocean or estuary. 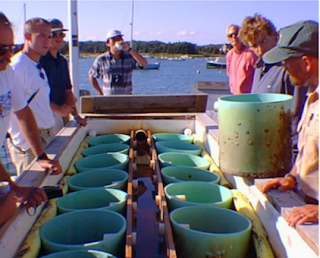 The screen is changed over the course of a growing season as the oyster spat grows. Initially we are starting with the finest mesh screen we could get at Home Depot. It can even keep out No-see-ums! Over time our interns will be changing the screen to larger and larger mesh sizes. There are several types of upwellers and they are largely classified by their location. They can be in the water beneath a dock, near the water on a floating dock, or in our case, on structures. Ours will be located on a dock at Maritime Gloucester. In mid-June we will be receiving 60,000 baby oysters or spat. They will be approximately 1-2 millimeters in size. They will be delivered via FedEx in a coffee can sized container. While they start off small, they will grow fast. By September they will be 2 inches long. It is amazing to see the growth! When we first started restoring oysters to Boston Harbor we experimented with some dime sized oysters. From August 9th to September 9th they grew from the size of a dime to the size of a quarter! It was an amazing transition that filled us with excitement seeing the oysters could grow so robustly. As we move into fall the oysters will be 1.5-2 inches in length. They will begin storing glycogen for the winter when they go into hibernation mode. At seasons end, we will test the oysters to be sure they are safe, and then find them a new home. 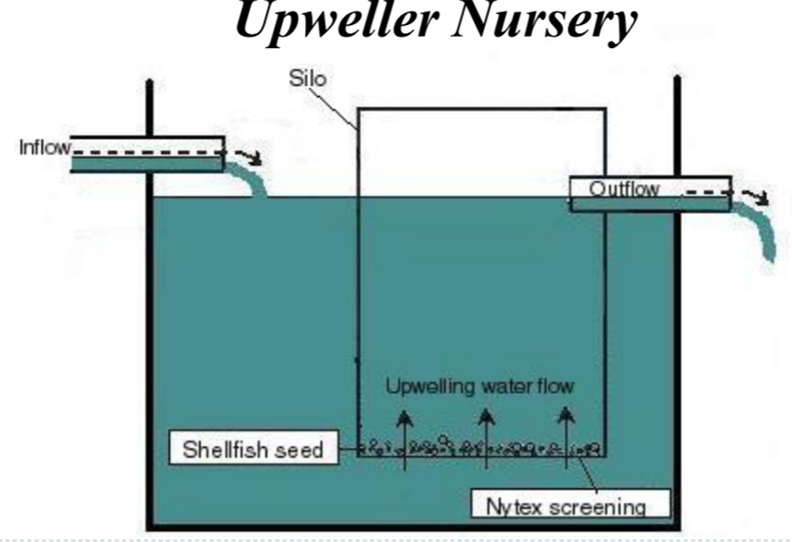 To learn more about bvuilding an upweller you can visit this PDF file..